Love it or hate it, contouring is here to stay. Done badly it can be an absolute fright, but when it’s done well it can be the best enhancer – note: not transformer – you face has met yet. When Benefit's Hoola bronzer hit the scene what feel like years ago, the contour-and-glow genre was just getting started. The believably natural-looking bronzer was an instant hit, going on to become a veritable modern beauty icon and one that is universally flattering to boot. 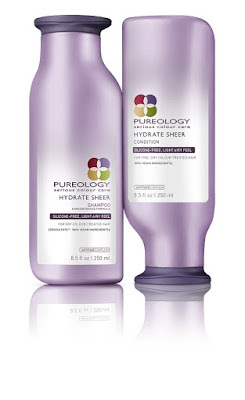 It is still one of the few products that I apply without fail every day, and to say I have gone through literally dozens of them would be putting it mildly! Many would say don’t mess with a legend, but the clever types at Benefit have done just that – not changing the original Hoola, but releasing some exciting new offerings that take a single bronzer and make it a family. The first I’d like to give a shout out to is the Hoola Quickie Contour Stick, which is a super portable, creamy version of the powdery original. It’s fair to say that makeup in stick form is not new, with everything from eyeshadow to foundation to blush available in that format. 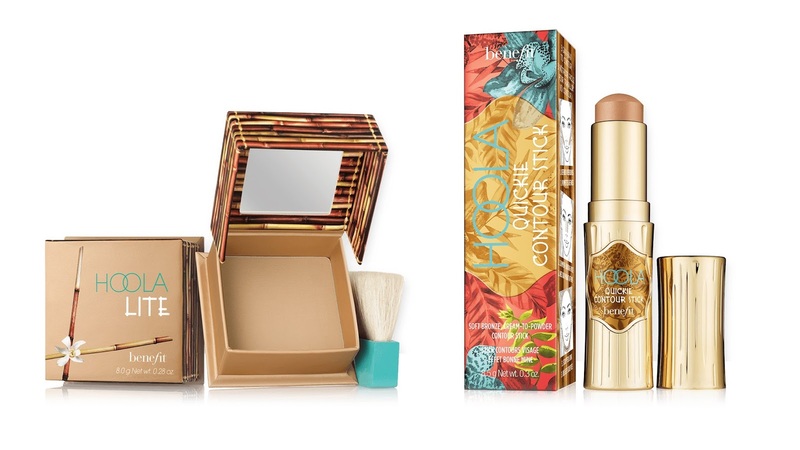 Still, flipping the famous bronzing powder to contour stick makes the most of Hoola's bestselling hue, turning it into a new and fresh formula that even eliminates the need for a brush if you so see fit. Benefit has opted for a matte, soft cream-to-powder consistency for this baby and a dome shaped tip, meaning that applies in a pigmented swipe and is much more precise than the original, and great for contouring on the go. 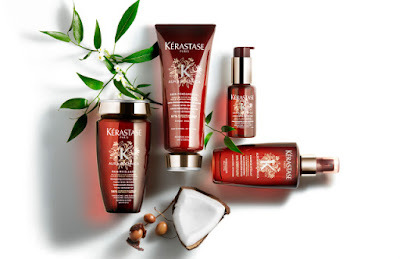 It blends seamlessly and is also remarkably longwearing, which is always a bonus when it comes with an RRP of $52.00. The Quickie Contour Stick is one of the Hoola family's two fresh additions, being accompanied by the new Hoola Lite (RRP $54.00). The new, finely milled bronzer has the same soft-matte finish, and blends on smoothly and seamlessly. Ideal for fair skin or over the winter months when you’re not seeing as much sun, this is a definite must-have if you’re as big a Hoola fas as me. Models swear by them, every make-up artist I know has one in his or her kit and with their no-rinse, three-in-one formulas they're perfect for traveling and late nights. What are they? Micellar waters, and I for one have been a looooong time fan. Micellar waters first gained momentum in Paris, whose skin-conscious inhabitants welcomed the opportunity to swerve the bad effect that the city's famously hard water had on their skin. I have always picked a couple of bottles up when I visit family in France, and love the way they work. Designed to be swept away with a cotton pad rather than rinsed off, micellar waters use tiny micelle particles to draw make-up (including waterproof mascara), sebum and impurities from the skin. Depending upon how much make-up you wear you may prefer to remove eye make-up separately, but since micellar waters are free of soap and alcohol they are a way more gentle alternative to harsh face wipes, making them perfect for when you're in a rush or on the go. I am definitely not the only one who loves how Micellar Cleansing Water works, capturing impurities like a magnet and trapping them within the Micelles, which are then carried off by the Micellar water and are effectively eliminated without the need for rubbing or rinsing. They are also ‘multi-zone’ products as they remove make-up from the face, eyes and lips and don’t require water, so great for travel and at the gym et al. A few of the supermarket and pharmacy brands have launched their Micellar waters into the local market of late, releases that were later joined by more luxe versions. The first organic version has now crossed my desk however, and I have fallen head over heels for it. Its creators are INIKA Organic, who proudly call themselves “the most natural and Certified Organic makeup brand on the market”. INIKA Organic Micellar Cleansing Rosewater has been released alongside INIKA Certified Organic Makeup Remover for those who prefer that method of makeup removal - a gentle and pure, oil-based formula infused with Certified Organic sunflower, rosehip and jojoba oils and vitamin E.
I’ve been using INIKA Organic Micellar Cleansing Rosewater pretty much daily since I received a bottle to play with, and can’t get enough of the natural and delicate rose scent, for starters. The formula is super effective, and comes infused with organic jojoba, rosehip oils and aloe vera to ensure the skin doesn’t dry out. The inclusion of these precious ingredients means this product is suitable for all skin types, even sensitive ones, and the price point of $36.00 doesn’t mean its completely out of the range of most natural and organic beauty fans. So, where can you get it? Well INIKA products are stocked at Smith and Caughey’s and selected health stores and salons throughout New Zealand, and with this baby on counter right now I highly recommend you pay your nearest stockist a visit. Foundation is like the white shirt of your beauty bag - an everyday essential that always works when and where you need it. But we all have a few white shirts depending on the hour and the season, and this also applies to your base. Consider the idea of building a closet full of foundation choices, as there’s no one-size-fits-all when it comes to makeup. Every foundation wardrobe needs a cushion, and there are plenty to choose from out there. Like many great things beauty, the basic idea for the unique cushion delivery system for foundation comes from Korea. Back when I was a wee one and they didn’t have self-adhesive stamps, post offices kept a little round sponge sitting in water in a little round dish so you could moisten your stamp without having to lick it. Sometime back in 2007, Korean beauty brand AmorePacific was reportedly inspired by the idea of putting a "stamp of approval" on a new must-have concept, and developed the first cushion compact. They released the IOPE Air Cushion in 2008 and since then, the use of cushion compacts has become so popular that apparently 75 per cent of Korean women have used/are using a cushion compact. Pretty amazing, huh? 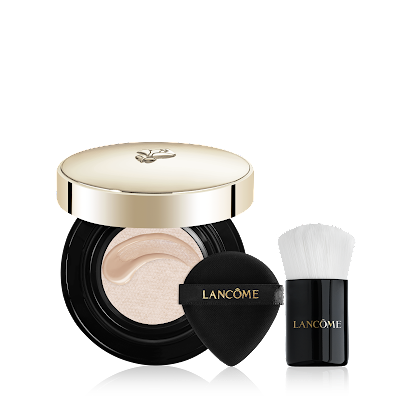 Lancôme was the first Western beauty brand to create its own version of the cushion back in 2015, when it launched the Teint Miracle-inspired Miracle Cushion. With a waiting list a mile long, it instantly sold out in many markets, verifying its status as a modern beauty legend. A year later they released Teint Idole Ultra Cushion, another huge hit that was once again inspired by one of their legendary foundations. Two years after the international launch of its first cushion, Lancôme, driven by its pioneering spirit, took things a step further with the release of the Absolue Cushion, which is on counter now. A true “luxury cushion”, its secret resides in the interwoven fibres of the sponge cushion that allow it to encapsulate richer, creamier formulas for an extra luxe feel. This makes the Absolue Cushion perfect for women seeking high coverage and a soft, lightweight texture. The mesh covering the cushion allows only the right quantity to be distributed while helping keep the product fresh for a natural, uniform make-up result. Super luxurious to have and to hold, the Absolue Cushion comes nestled in an elegant case trimmed with black and sheathed in a suedette pouch. Inside the case are two sophisticated tools in the form of a rose petal applicator perfectly adapted to the curves of the face and the Absolue Cushion kabuki, an indulgently soft make-up tool the makes it possible to perfectly smooth make-up over the flat zones of the face. Its fibres capture the formula for a natural result and offer the soft sensation of a gentle massage at each application. Amazing. Lancôme’s Absolue Cushion is available right now, and with an RRP of $150.00 certainly doesn’t come cheap. 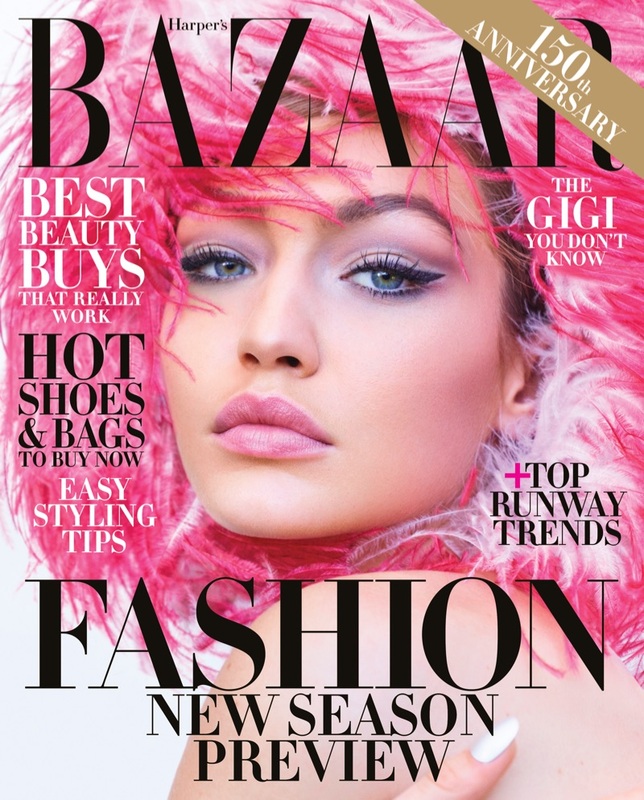 If you have the spare beauty dollars though, I say take the plunge – you won’t be disappointed. I am a huge fan of Bobbi Brown, both the woman and the brand. Both are beautiful yet practical, with the end goal being making every woman look the best she can be. 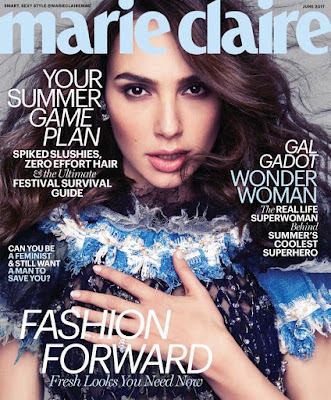 The celebrity MUA is also famous for her belief that foundation should look like skin – and that’s why she has created various formulas that achieve a natural finish no matter what your skin type or skin tone. She has also created a marvellous little wonder designed to sit somewhere in between the foundation and skincare category, in the form of Bobbi Brown Extra Illuminating Moisture Balm. A creamy moisturising formula that is perfect for dry or older skins, it has a very fine, pearlised pale gold shimmer to give skin an illuminated, radiant, healthy effect. Its rich, creamy texture has an obvious iridescence and shimmer to it, and it can be used as a highlighter or in any number of other ways depending on your skin type and desired end result. The shade is a very pale gold, which adds warmth and delicate shine, and the texture gives skin a bit of a hydration boost, and made my feel soft and supple too. The subtle sheen almost tricks the eye into seeing healthy, radiant skin without seeing “shimmer” as such, so don’t be afraid to play with this if you’re usually averse to a little shine. 1. Wearing the creamy formula on its own for beautifully healthy looking, luminous skin. This is perfect for days when your skin might feel a little on the dull side but you don’t feel like wearing a full face, and with a little concealer is just as effective as a BB cream IMHO. 2. Under your chosen foundation to add a subtle glow. If you have dry skin you can apply a full face under a thin layer of foundation for a your-skin-but-better look, or to perk up a more mattifying base. Don’t forget your usual moisturiser though as this isn’t a substitute, just a little something extra! 3. Blended with your foundation to add luminosity. The super fine shimmer effect gives added luminosity to most liquid foundations for that all-elusive “glow” factor. 4. Over foundation or BB Cream for a little highlight and shine exactly where you want it. Pat it on top of your foundation with your fingers or a flat foundation brush to control where you want it to sit, and the light hit. Last up, I really like the packaging – and not just for its sleek, minimalist style. The pump twists up and is easy to control, so you can dispense just the right amount. 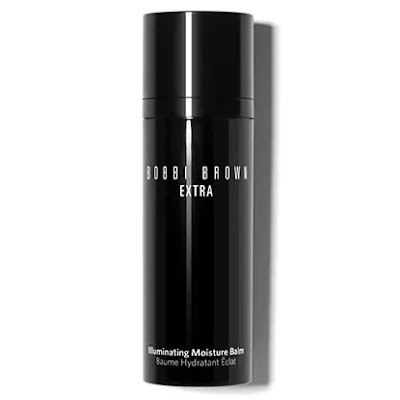 Bobbi Brown Extra Illuminating Moisture Balm is in store now with an RRP of $120, but a little definitely goes a long way! Since the opening of its original apothecary in New York City in 1851, Kiehl’s has become a globally renowned name in the skincare industry for serving its customers the finest formulations made with the most advanced skincare science and uniquely efficacious, natural ingredients. The customer has always been central to Kiehl’s, inspiring each and every company decision from development to sampling to service philosophy, and the brand has an uncanny knack for creating must-have products that yes, you need RIGHT now. 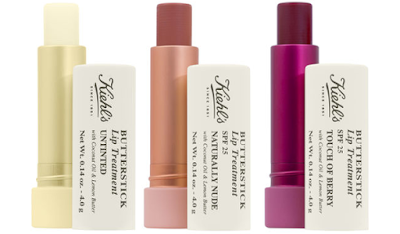 The latest release that arrived across my desk just as the temperature was dropping is the brand’s beautiful new Butterstick Lip Treatment, which is the latest formula to be added to the impressive Kiehl’s lineup of lip care. 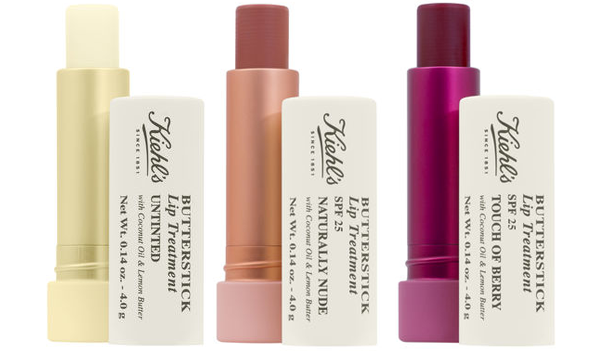 Already famous for celebrated hydrating lip formulas like Lip Balm #1, Eucalyptus Lip Relief and Facial Fuel No-Shine Moisturising Lip Balm (for the blokes), the newbie to the Kiehl’s lip category is something entirely different again. 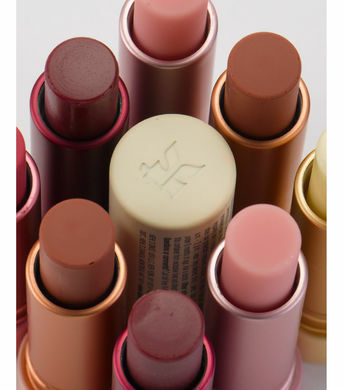 Butterstick Lip Treatment is a multi-benefit lip treatment collection, available in both clear and sheer hues, to hydrate and protect lips with SPF 25 protection. A super duper hydrating and smoothing balm, it uses a nourishing blend of oils and butters to get the job done that includes Coconut Oil, which instantly melts onto lips for a boost of soothing moisture. With antioxidants like Lemon Butter also in the mix, the yummy lip treatment provides year-round protection for lips, helping them stay hydrated for up to 12 hours after application. The skin on our lips is 75 per cent thinner than regular skin and has fewer sebaceous glands, making them drier with a weaker skin barrier. Furthermore, due to accelerated skin cell turnover on lips, the skin on lips loses water an insane three times faster than regular skin and experiences only a third of the hydration. Lip skin also contains three times less melanin than regular skin, making lips more sensitive to sun damage and in dire need of a quality SPF during daylight hours. Formulated with 100 per cent natural ingredients, this is where Butterstick Lip Treatment steps in for all your lip loving needs. The sunscreen will keep lips protected in the summer sun and the nourishing ingredients will keep lips hydrated throughout the brutal winter months, and Kiehl’s Butterstick Lip Treatment also has a light hint of colour that can be layered on for more intensity, which I love. These sweet looking tubes are on counter now from the Kiehl’s flagship boutique in Britomart, Smith and Caughey’s, Sylvia Park, Westfield Riccarton and Ballantynes, with an RRP of $38.00. Midway through last year, luxurious home and beauty brand Curio Noir unveiled a range of exquisite handmade perfumes, while simultaneously celebrating the opening of their flagship store on Ponsonby Road. For those unfamiliar with the brand, Curio Noir was founded in 2011 by Jeans and has grown into one of Australasia’s most luxurious perfumery and candle ranges. Tiffany crafted a series of hand-cast skull candles individually wrapped in tulle for each guest at her wedding, and it was from this labour of love that the idea for Curio Noir grew. 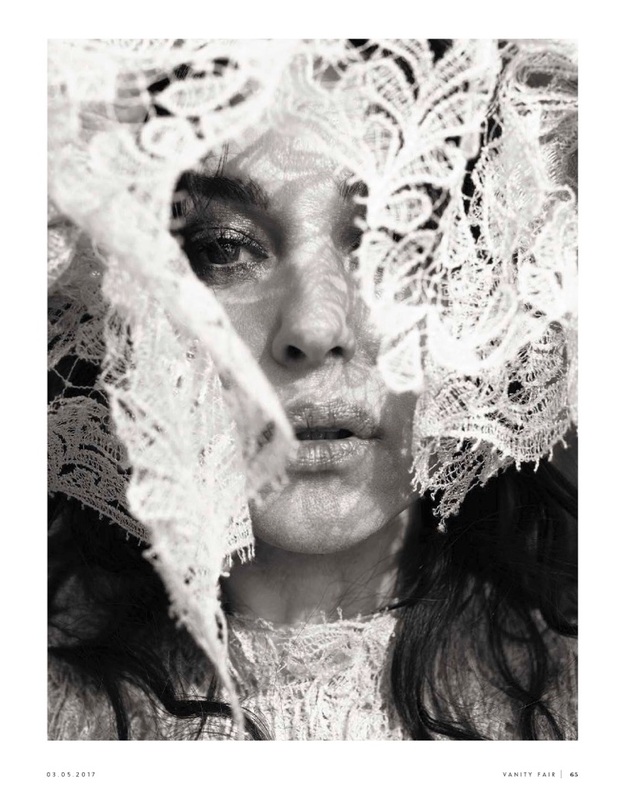 Darkly alluring and reminiscent of a Parisian atelier, Curio Noir's flagship store is in the space formerly occupied by Wunderkammer at 76a Ponsonby Road, and is a veritable feast for the senses. Within its walls you’ll find the sought after line of Curio Noir glass candles, CN Absolute Parfum, Curio Noir hard soaps and leather coasters, exclusive Zora Bell Boyd jewellery and a range of Comme Des Garcons fragrance. The Absolute Parfum perfumery line has to be played with to be believed, and is currently made up of several unisex fragrances crafted by Curio Noir creator Tiffany Jeans and mixed by perfumers in Grasse, France. 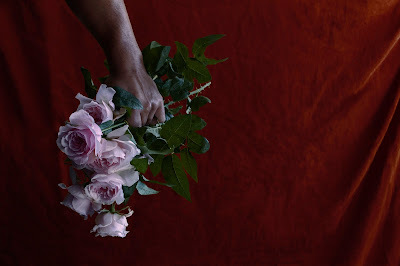 Called Opia, Diaphanous, Tobacco Night and Dark Bouquet, they are now joined by the dirty, sensual and heady Pūrotu Rose, which I for one, have not been able to put down. Pūrotu Rose means “Handsome Rose” in Māori, and was inspired by the scents that swirled around Jeans at a tangi (or funeral), where soil, smoke and rose filled the air. With notes of Rose Otto Absolute, Rose de Mai, Bitter Orange, Cumin, Pink Pepper, Haiti Vetyver and Cistus, balanced out with Teak Wood and Javanese Vetyver, it is not a scent for the faint of heart and proudly unisex in appeal. Tiffany says of the new release, “Pūrotu Rose is a spicy, woody, dirty rose fragrance and a meaningful fragrance for me. It was inspired by a childhood memory I have of my Great Grandfather’s tangi. The day was incredibly hot, and three very distinct scents filled the air – a rich, earthy scent from the soil; smoke from the hangi cooking for lunch and the sweet scent of roses that adorned the tables”. The resulting Parfum is somewhat of a paradox – it is a rosy scent that is deeply spicy with wooden undertones, and is an extract de parfum for men and women. Pūrotu Rose is available in either a 5ml petite French perfume bottle (RRP $40), or 50ml bottle (RRP $240.00). From the flagship store only, customers can select their own hand-blown, bespoke glass bottle made in collaboration with Monmouth Glass Studio and have it filled with up to 100mls of fragrance, from RRP$380. 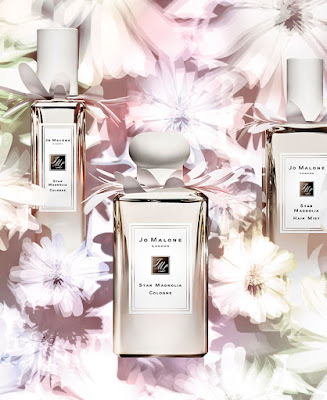 Jo Malone London is one of the few fragrance brands who create florals even a musky-spicy-woodsy lover like me can get their head around – and fall in love with – and when they do it, they always do it well. The latest flowery masterpiece from the iconic brand is Star Magnolia, a limited edition cologne that also comes (rather gloriously) in the form of a hair mist. Magnolia is a floral note not that commonly used in perfumery these days, although it does makes the rounds every so often. It is definitely true there are magnolia scents out there, but for every one magnolia there is a thousand tuberoses and even more jasmines, and I for one, prefer the cool white beauty over both of those. Jo Malone London describes the new fragrance as “delicate white blossoms bursting with Spring’s sparkling charm”, and the key elements are star magnolia at the heart, along with magnolia leaf and orange blossom, lemon, ginger and shiso. Magnolia leaf Oil brings a fresh, green facet to the fragrance, whilst a base of Sandalwood keeps things grounded and always interesting. Star Magnolia was created by Master Perfumer, Anne Flipo, who has been responsible for some of Jo Malone London’s most unique scents like Basil & Neroli and Lavender & Coriander. The latter was one of my absolute favourites from the limited edition Herb Garden collection, to the point where I near wept when the bottle ran out! In Star Magnolia she has created another absolute stunner, a floral that is never overpowering but definitely beguiling. I for one, can’t get enough. Oh and last but by no means least, bathed in white, the beautiful bottle comes wearing a soft collar of white floral petals and is quite simply too pretty to hide in a drawer. Yes, you NEED. Star Magnolia is available now at Jo Malone London stockists nationwide, with an RRP of $232 for a 100ml cologne, $116 for a 50ml cologne and $90.00 for the gorgeous hair mist. In my job sometimes it feels like you hear about a new honey-based skincare range launch every day, mostly from New Zealand and mostly with loads of money behind them. They don’t always have the most engaging stories or products though, and make wild claims that they can’t possible live up to. 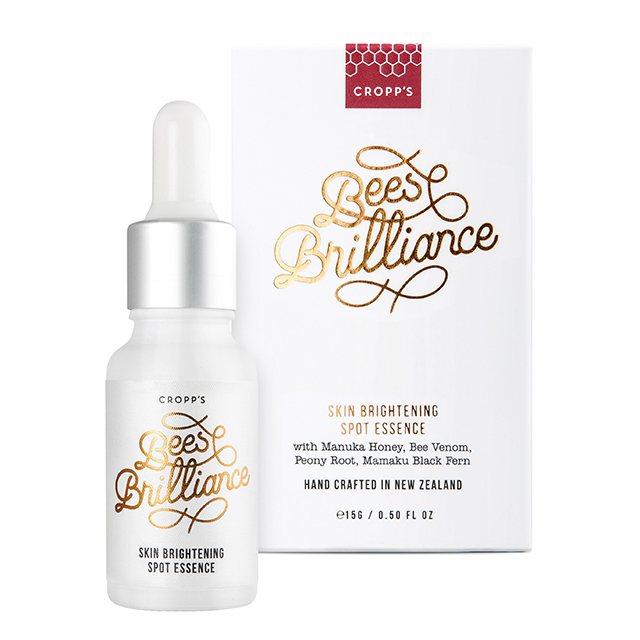 Bees Brilliance skincare stood out from the pack though, and after co-owner Julene Cropp contacted me and sent me a couple of their beautifully crafted creations I can’t wait to hear what this little company goes on to achieve. Julene’s husband Matthew says he was “born with beekeeping in his veins”. A fourth generation honey maker, he grew up watching his father tend to the family beehives. Whilst he had a successful career in aviation, a tramping trip to the Hollyford Track in Milford Sounds changed Matthew’s path. It was here he met Julene, who shared his passion for nature. It wasn’t long before the beautiful lands of Nelson called them home. Matthew’s father had developed the world-famous Royal Nectar Bee Venom Mask, and knowing they had something special on hand, Matthew and Julene launched themselves into learning more about honey-based skincare. The pair dedicated themselves to gaining an expert knowledge of bees and honey production, carefully researching the different compositions of honey to create a range that, when combined with the finest natural ingredients, “works as hard as the bees in their hives”. Manuka Honey : from the nectar of the Manuka bush flower (Leptospermum Scoparium), Manuka Honey is rich in natural sugars, amino acids and vitamins. A natural humectant that helps to draw moisture into the skin, it is revered for its scientifically-proven skin healing properties. Bee Pollen Oil : crafted from the pollen bees collect from plants, Bee Pollen Oil is often regarded as a superfood for the skin. A golden organic oil rich in amino acids, vitamins and minerals, Bee Pollen Oil is packed with vital nutrients to feed the skin and encourage regeneration. Beeswax : produced in the glands of young bees in the hive, Beeswax is the material bees use to build hives and seal the honeycomb cells. Beeswax is renowned for its skin moisturising and soothing properties. Propolis : a red or brown resin-like substance, bees collect Propolis from tree bark and buds. Often referred to as ‘bee glue’, bees use Propolis to seal the hive to keep it hygienic and clean. Rich in bio-flavonoids, Propolis is known for its anti-microbial properties and is regarded as a great skin reviver. Royal Jelly : a white liquid substance, honey bees secrete. Often referred to as “bee milk”, worker bees feed the nutritional Royal Jelly to baby honeybee larvae in the beehive. Royal Jelly is packed with vital nutrients to feed the skin and enhance texture. Allantoin : derived from the root of the comfrey herb, this is a natural reviving and protecting ingredient, and helps healing of the skin. Aloe Vera Powder : obtained from the leaves of the aloe plants, aloe powder is higher concentration than the fresh plant. 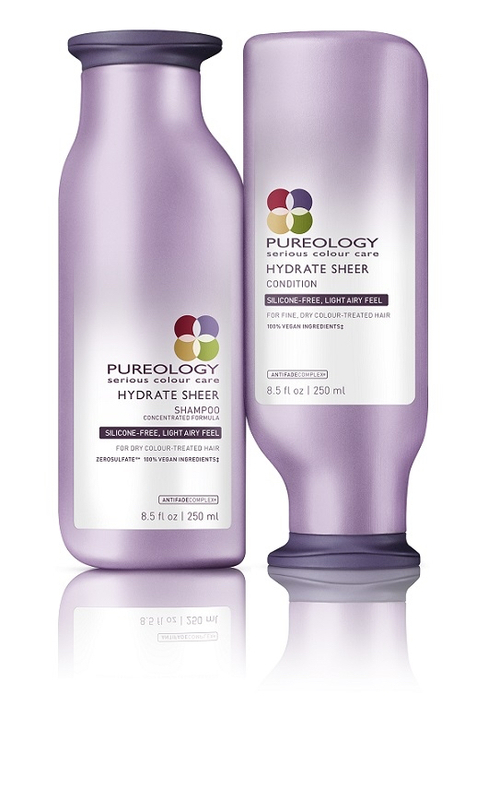 Refreshes and calms helping to maintain moisture balance and is beneficial for soothing, sensitivity and irritation. Avocado Oil : rich in skin-nourishing Vitamin D and E, and Linoleic Acid, this cold pressed oil supports skin moisture balance, preventing it from drying out, while helping to strengthen the dermis. So far from the range I’ve been playing with the Manuka Honey Foaming Cleanser, which comes in a handy pump bottle and when mixed with water, becomes a soft jelly foam of microbubbles. It cleanses skin and removes makeup without stripping the skin of its essential moisture, but as it’s suited to combination skin this baby has been a little drying on my well, dry skin! I think I’ll save this for summer though, as it’s a beautiful formula. I’ve also been playing with the Instant Hydra Firming Shot, which is new to the range and perfect for this time of year. An intense daily hydrating and cooling gel cream that “instantly firms, lifts and plumps skin”, it is lightweight but instantly hydrating, leaving your skin feeling pretty fabulous. In the formula you’ll find Aquaxyl, a natural derivative of two plant sugars that is a powerful, long-lasting moisturiser that actually increases water retention by improving the skin’s natural ability to retain water, and “Chiwi 8 Complex”, a potent blend of the best of New Zealand’s botanicals and the world of Traditional Chinese Medicine to protect the skin from ageing. Intriguing, and amazing. On my wish list now is the brand’s Original Manuka Honey Mask, which they describe as a “pot of pure liquid gold active Manuka Honey that instantly coats the skin for the ultimate moisture boost and intense nourishment”. 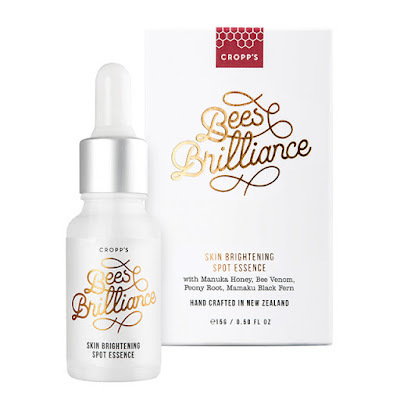 It is formulated with 40 per cent active New Zealand Manuka Honey, Methylglyoxal, Bee Pollen Oil, Glycerine and Meadowfoam Oil, and sounds incredible. To find out more about this beautiful, locally crafted skincare brand, head here. Mana Dave (above), Redken international platform artist and owner of much-loved – and hugely successful - Auckland hair salons Blaze and Pony Professional, has added yet another achievement to his ever-growing resume. 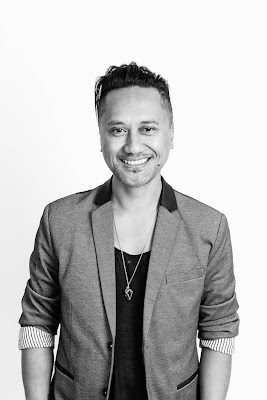 As well as being a bloody nice bloke, Mana is an award-winning hair stylist, and now the talented colour specialist and three-time New Zealand hairdresser of the year has been named Redken artistic director. This prestigious title encompasses the growth and development of the Redken NZ artistic team, helps shape the Redken creative programmes for salons, gives creative direction for NZFW shows and provides input into the seasonal fashion trends for Redken. Dave has recently returned from Las Vegas for the fifth time, where he presented a master class at the highly anticipated Redken International Symposium. This bi-annual hair education event attracts an insane 10,000 beauty professionals seeking to learn more about their industry through 27 different masterclasses ranging from colour, design, finishing, total look, social media and business development. Dave also facilitates classes at the renowned Redken 5th Ave, New York where stylists travel from around the globe to learn master artistry from the award-winning artist. 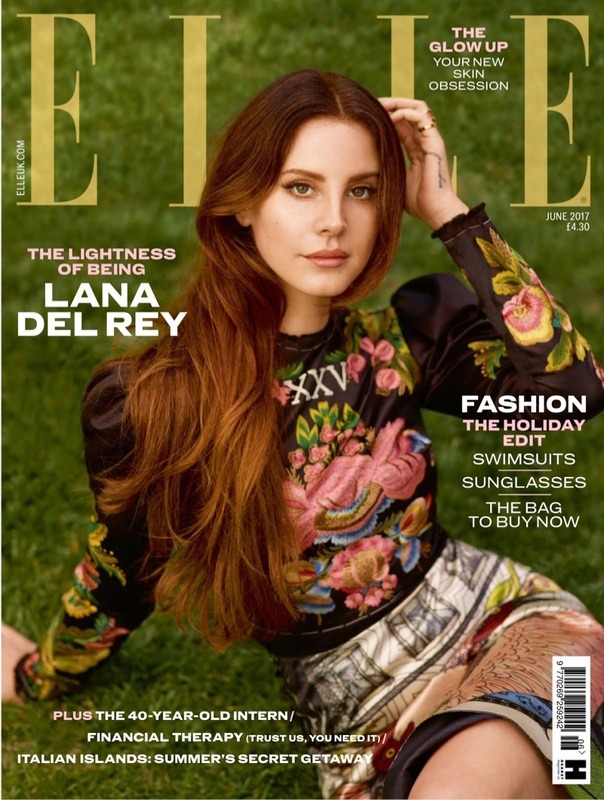 Dave described his experience working alongside celebrity colourist Tracy Cunningham – whose client list includes Khloe Kardashian, Jessica Biel and Jennifer Lopez – and Redken artistic education director Sam Villa as, “both nerve-wracking and humbling”. He was paired with UK stylist Lee Stafford and together they were the first international Redken facilitators to present their own showcase to the Symposium. Congrats Mana, clear proof that good guys can finish first.